It would be very disturbing to wake up and find out that you’re dead. But what would be even more disturbing, is to wake up in a morgue refrigerator and find out you’re not dead. It really happened to a man in South Africa. Pastor Doug: If you have any Bible question, we’ve got a number that you can call, it’s a free phone number, write it down, call, ask your Bible question now and it will be broadcast over hundreds of stations and satellite radio across the country and around the world. That phone number is 800-GOD-SAYS.We have lines open right now so if you have a Bible question, pick up your phone right now, and call in. We don’t really deal with questions regarding dating and romance or finance, but if you have a Bible question, that’s why we’re here. 800-463-7297 with your Bible questions and my name is Doug Batchelor. Pastor Jëan Ross: My name is Pastor Jëan Ross, good evening listening friends and Pastor Doug let’s begin the program with a prayer. Father once again we thank you that we have this opportunity to study your word over the airwaves. We ask your special upon this program. Be with those who are listening wherever they might be. Father we pray for wisdom here in the studio as we search the scriptures, we recognize that it’s your book. We need the Holy Spirit to guide us, and we ask this all in Jesus’ name, Amen. Pastor Jëan Ross: Pastor Doug you opened with a fact about a man who woke up and he was in the morgue ready to, well to be buried. What an experience that must have been. Pastor Doug: And you knowit was compounded because they thought he had died. He had asthma problems or something and they checked for pulse, they checked for a heartbeat or breathing and they said, “He’s dead.” They put him in a body bag, put him on a gurney, wheeled him into the morgue refrigerator and he stayed there for 21 hours at which point he woke up and you can only imagine the things that went through his mind to find out that he was in this bag, he somehow got his hands, he unzipped the bag and boy, but he made quite a ruckus in there and it scared the morgue half to death, they ran out, they called the owner, he got scared, he called the police who probably got in with their guns drawn to find out that this grandfather, late 50s early 60s was not dead but very much alive. And I understand he is at home recovering right now from the trauma. But you know, when we think about someone being buried alive, we’ve all heard those kind of macabre stories about graves that have been exhumed and they found claw marks or scratch marks on the inside of the coffin the person had woken up and found that they’ve been buried and that can kind of give you the creeps. Some kidnap victims have been buried while the kidnappers tried to collect the ransom and they described how awful it was to be basically buried alive and hope that the ransom’s paid and that you’d be liberated. And just the idea of being buried alive also makes me as a pastor think about people who may be buried through baptism, without dying into self first. And they can really cause quite a commotion in the body of Christ. It’s really important that a person is dead when they’re buried. And likewise when a person is baptized, and they surrender their life to the Lord, it says that baptism is a symbol of death, burial and resurrection. People should not be baptized if they’re not committed to take up their cross and follow Christ. And that means you’d follow Him to His crucifixion and your crucifixion and you live a new life. And people might have questions about how they can be born again but before they’re born again, they’ve got to say goodbye to the old life. Be willing to let go and get a new beginning. Baptism is a symbol of this and we have a book that we’d like to send anyone who asks. They can also get it on the website, dealing with the subject of baptism. Pastor Jëan Ross: The book is entitled, ‘Baptism-Is it Really Necessary?’ ‘Baptism-Is it Really Necessary?’ If you’d like to receive this book, call us on our resource line. The number is 800-835-6747. The number again is 800-835-6747, you can ask for the book, ‘Baptism-Is it Really Necessary?’ You know Pastor Doug, I can just imagine the joy of the family of the man that you just spoke about who was declared dead but wasn’t really dead. When he came walking into the door at home, their sorrow turned to joy. It also reminds of that passage of scripture in the Bible where it says that, “There is joy in heaven over one sinner that repents.” The story of the prodigal son, where the father says he was dead, but he is alive. That same type of rejoicing happens in heaven when somebody chooses to follow the example of Jesus or be baptized, die to self, allow the Spirit to work within. Pastor Doug: They get a new beginning, absolutely. And once more if you have a Bible question, you can call the studio with your question. And this is a separate number from our resource number. For your Bible question call, 800-463-7297, be patient it rings for a moment. We’ve got a limited number of operators that are taking the calls, but we’ll get your question on tonight’s program. And are we ready to take our first call? Pastor Jëan Ross: We are, we’re going to go to Denis who is listening in Minnesota. Denis welcome to the program. Denis: Thank you for taking my call. Pastor I’ve got a question on Matthew 5:3 about being poor in spirit. 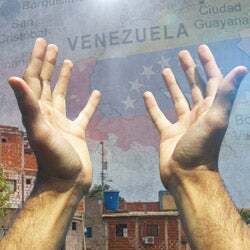 Denis: And do, I want to know what poor means and the poor in spirit, it’s the, reward is obvious, you inherit the Kingdom of Heaven and do I want to be poor in spirit? Or what would I look like to others or to God if I was? Pastor Doug: Well, the poor in spirit doesn’t mean that you are in poor spiritual condition, it means those who are humble and they recognize that, “we’re spiritually bankrupt.” Those who, the word actually is ‘pricos’ in the original Greek, and it means a person who is … they realize they’re like a pauper or beggar. We realize that we have nothing, and without God’s grace and His riches we’re bankrupt. And so a person who comes to God with a meek, humble spirit, He can then work with them. Jesus describes the opposite condition in Revelation, where He talks about those who think they’re rich and increased with goods, He said, “I’ll spit them out of my mouth,” I can’t do anything with them when they’ve got this ‘Leo Disian’ arrogant attitude. Or it’s like the Pharisee who came into the temple and he prayed and bragged to God how good He was. And God said, “I can’t help him.” But the poor publican, the tax collector, he sat at the back pew and he beat on his breast and he said, “Lord have mercy on me, a sinner.” That’s’ a person who’s poor in spirit. It is recognized that without God’s help, he was helpless. And the Lord says those are blessed, He can help them, He can work with them. But when we don’t sense our need of God, He can’t do anything with us. Denis: Oh very good, thank you for your wisdom at answering the big question I had. Pastor Doug: Well praise the Lord, thank you very much. Pastor Jëan Ross: You know we have a book dealing with the subject of the Holy Spirit and that kind of ties them with the question, we need to recognize our need of the Holy Spirit. The book is entitled, ‘Life in The Spirit.’ And Denis if you’d call our resource line, the number is 800-835-6747. That’s 800-835-6747, ask for the book, ‘Life in The Spirit’ and we’ll be happy to send that out to you. Denis: Thank you pastor Ross. Pastor Jëan Ross: All right next caller is Johnny and he is listening in New York. Johnny, you’re on the air. Pastor Jëan Ross: Hi Johnny. Johnny: Oh, God bless you. Pastor Jëan Ross: You’re on and your question. Johnny: Yeah, listen, well I want to say something first. Two weeks ago I went into the radio, they end up , say Johnny from Jersey. Pastor Jëan Ross: Oh, well we’re glad that you’re there and you’re about, what’s your Bible question tonight? Johnny: Oh listen, I don’t know if you’re familiar with this, I heard a Bible teacher saying that God told Moses to stone a man to death because he didn’t keep the Sabbath. Are you familiar with this? Can you give me the scriptures that, a verse on the Bible that says so? Pastor Doug: Yes, it does say that in the Bible, I’m not sure Pastor Ross if it’s Numbers but you’ll find it. Where there was a man who went out on the Sabbath day gathering sticks. Johnny: Right, right, yeah, yeah. Pastor Doug: And he, they didn’t know what to do with him because he was sort just flagrantly breaking this law. Pastor Doug: Now keep in mind, God’s presence was there in the camp. God was raining manna down from heaven 6 days a week and there was no manna on the 7th day, no bread from heaven. And this man went out to kindle and build a fire and even though God had said, “This is my Sabbath, don’t go out into the camp and gather wood.” And he just said, he thumbed his nose at the people and at God and said, “I’m going to do what I want to do.” Go ahead you want to read that pastor Ross? Pastor Doug: And Moses brought the case before the Lord, and God said he should be stoned to death because it wasn’t like in a democracy today where people have that kind of freedom. This was a theocracy Johnny. And God as in their presence, they heard God’s voice speak to them, they saw miracles of manna coming down every day. Water was coming from a rock and very, in the very presence of God, to openly and in front of everybody say, “I’m just going to break one of the 10 commandments.” God realized that this was high-handed rebellion, now there’s no other case in the Bible of a person for breaking the Sabbath but it was pretty serious when, it was really the rebellious attitude. And then you get to the New Testament, and we wonder, why would God strike dead Ananias and Sapphira for telling a lie on the same of what some people do on their tax returns every year? They just, they made an offering but they didn’t report the whole thing and they were misleading. And they were basically struck down by the Spirit of God. That sounds very severe, but the reason that God dealt that way in the New Testament, is the power of God and the presence of God and the miracles of God were so evident in the church, that to openly lie, God knew He needed to set an example that it was a very dangerous thing and that sin is deadly. Now we do have a website that especially deals with questions on the Sabbath that I understand next to it Wikipedia, it’s the most popular website out there we’d be happy to share with people. Pastor Jëan Ross: All you have to do is just go to Google and type in Sabbath Truth or you can type it into the address bar www.sabbathtruth.org. 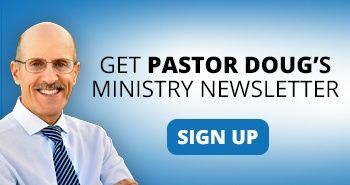 Pastor Doug: Or dot com. Pastor Jëan Ross: Or dot com, it will take you to that same website, sabbathtruth.com. And we also have a book Johnny, dealing with the subject of God’s law and grace and how do we understand the two and the book is entitled, ‘Does God’s Grace Blot out The Law?’ And we’ll send this to you to you free if you call our resource line the number is 800-835-6747, again it’s 800-835-6747. You can ask for the book, ‘Does God’s Grace Blot Out the Law?’ For anyone wanting to learn more on the subject. Pastor Doug: Thank you for that call Johnny. Pastor Jëan Ross: We’ve got Doug, who’ is listening in New York, Doug welcome to the program. Doug in New York you’re on the air. Pastor Jëan Ross: Yes you’re on the air Doug. Doug: Oh, oh hi. I thank God for hearing your voice. You are very cherished inside my household that everybody knows you. So Pastor Doug I have a question, who does the saving, the Holy Spirit or Jesus Christ? Because it says, “You’re still learn to the day of redemption by the Holy spirit,” but it doesn’t say who does the saving the Holy Spirit or Jesus Christ? Pastor Doug: Jesus and the Holy Spirit I’m not comparing one to, I hate to compare the Holy spirit to a dog I didn’t mean it that way, but I’m just saying that you’ve got two beings that are participating in cooperation. And so you’re going to find scriptures in the Bible that will say, “Thank the Lord that He saves us through the Holy Spirit.” And then you’ll say, “Thank the Lord who saves us through Jesus.” And thank the Lord for the Father who so loved the world He sent His son. So there is a cooperative effort between the Father, the Son and the Spirit to save man and you could thank any of them. Pastor Doug: It’s like when those minors were stuck in Chile for all that time, you had so many different entities working above to rescue them. Pastor Doug: That when they finally came up they were thanking everybody. Doug: Yes, okay thank you very much. Pastor Doug: All right we appreciate your call Doug. God bless you. Pastor Jëan Ross: You know I think Doug would also enjoy the book, ‘Life in The Spirit” talking about the Holy Spirit and how the Holy Spirit works in the heart of a believer. To receive that book, call our resource line 800-835-6747, you’re going to ask for the book, ‘Life in The Spirit.’ We’ve got Steve listening from Tennessee, Steve welcome to the program. Steve: Yes hallo, can you hear me? Pastor Doug: Loud and clear Steve, how can we help you tonight? Steve: Great, thank you. I have a question in regards to the Sabbath issue and certainly and effort into honoring it and that is, there seems to be a disparity between Sabbath Christian maybe eating out on the Sabbath and especially when I go to like a cafeteria or in a college I use a card or I eat out then more or less and it seems to be necessary to eat and times have changed where I don’t have to prepare or gather my sticks or make a fire and I’m wondering if you could respond to how that might seem legalistic or not or maybe you can give me some direction regards to preparing that or what do I do? Pastor Doug: Yeah, with your permission I’m going to answer that question in what might seem like an entirely different way. Pastor Doug: I was asked at a college to give a talk on appropriate modest Christian dress. Pastor Doug: Yeah they did something very dangerous, they invited me into the girls’ dorm to give this talk to the girls. Pastor Doug: And I asked one of the girls to stand up behind me on stage, and she was wearing a very long, modest dress. And I asked the other girls, I said, “How many of you agree that this dress is modest?” And they all raised their hands, no question. Then I asked her if she would take her hands on either side of her dress and pull up 1 inch, which she, reluctantly she did. I wasn’t looking, I was looking away she’s behind me. And then I said, “Do you all still agree that it’s modest?” Well, 90% did and I asked her to do that again 1 inch, and you know eventually we all realized that everybody in that room kind of drew the line in a different place, eventually they all said you know it’s too modest and so, but the idea was you could sound legalistic if you told everybody every woman has got to wear a dress that drags the ground or she’s being immodest. Pastor Doug: But there is a point when you say that you can’t wear a bikini to church. You know what I’m saying? Pastor Doug: And so on one side, if you don’t say anything, it’s like you have no standards on the other side, you could be looking legalistic, obviously a Christian needs balance between the two. Pastor Doug: When it comes to keeping the Sabbath, it either means something or it doesn’t. So you know the Jews had become very preoccupied in the days of Jesus trying to figure out, what is appropriate what is inappropriate. They had a lot of man-made laws and traditions that Jesus had to plow right through. Pastor Doug: You know they said you can’t harvest, obviously you can’t harvest on the Sabbath, get out there with your sickle and your oxen. But was it a sin when the disciples picked the little heads of wheat, rubbed them in their hands, blew the chaff away and ate them? Pastor Doug: And Jesus said, that’s ridiculous it’s like picking an apple off the tree on Sabbath, you’re not harvesting. Pastor Doug: And so there was all these man-made laws, but if you start picking a bushel of apples, it starts looking a little bit like work. A Christian whether it’s the Sabbath or whatever the issue is, we always need to be praying for wisdom to know where to draw these lines. The Bible draws the line that we should not be unnecessarily engaging other people to be working for us on the Sabbath if we can make preparation in advance. And so we’ll cancel the banquet, we’re going to bake the cook, we’re going to cook at a hospital or a school cafeteria people have to eat. Get a card, pay in advance, you know these things that you could do. And so I think you kind of need grace and wisdom in every situation in the Christian life that you can find out what best pleases the Lord and know where to draw those lines. Steve: All right thank you very much. Pastor Doug: Some of the calls are difficult. Now there are scriptures in Nehemiah that talk about buying and selling on the Sabbath that says we should not do that. And then in the Old Testament and right now Pastor Ross’ scripture escapes me where it says, bake what you’re going to bake, boil what you’re going to boil and do it on Friday. That’s why the manna they gathered twice as much on Friday to prepare for the Sabbath. So there’s a principle there. Pastor Jëan Ross: It’s Exodus 16:23. Pastor Jëan Ross: The verse you’re referring to. Pastor Doug: Thank you Steve, hope that helps a little and you would probably also appreciate the website. I think there’s information there on how do you keep the Sabbath? sabbathtruth.com. Pastor Jëan Ross: All right, we’ve got Bill who is listening on XM Radio from Florida, Bill welcome to the program. Bill: Good evening gentlemen, how are you doing? Bill: Wonderful thank you. I have a question, I have not found it myself from the Bible but I’m just curious. In the word of God, does it come against any way shape or form cremation after death? Pastor Doug: Good question, there is no Bible command that says the only appropriate way to dispose of a body is through a traditional burial. But the example in the Bible in 90, so maybe 95% of the time, is a traditional burial. God seems to want us to show respect for man and his remains even death because man is made in the image of God. And of course the Lord is going to resurrect people. It says, all that are in the graves will hear His voice and come forth. There are a couple of exceptions in the Bible, one is where Jonathan who we believed is saved, he was killed by the Philistines, they mutilated his body and hang it on the wall. And the men of Jabesh-Gilead, Jabeth-Gilead rescued his body from the walls of Beth-shan and they cremated it. And David thanked them for doing that. We expect to see Jonathan in the resurrection. When a person’s cremated, you know God is not coming back to reassemble the old parts after a person’s decomposed, He’s going to give them anew glorified body. But He does seem to come back to the location of the grave. And knowing this during the Dark Ages I guess when the Catholic church wanted to persecute some of the reformers, they would burn their bodies and then scatter their ashes in the ocean or a river as if it was going to make it difficult for God to reassemble them. But it’s really silly when you think about it you know if a person drowns, they die at sea, and their bodies scattered all over the ocean, does that mean God can’t resurrect them? So traditionally in the Bible, people are buried. I would not call it a sin if someone chooses to get cremated. Hope that helps a little Bill. Pastor Jëan Ross: Thanks for your call, yeah. Pastor Doug: By the way you know and I don’t know if Bill can still hear us we may have lost him but we do have a website brand new and it’s called deathtruth.com or truth about death either one, deathtruth.com. If you’ve been there before, you need to go there now, because it’s been totally revamped and now that we’re in the month of October and people are starting to see little ghosts and bats and witches in gravesides on their neighbor’s lawn, they might want to know more about that subject. Pastor Jëan Ross: We also have a study guide dealing with the subject of what happens when a person dies, it’s entitled, ‘Are the Dead Really Dead?’ And if you’d like to receive a call on our resource line, it’s 800-835-6747 and ask for the study guide, ‘Are the Dead Really dead?’ The number again is 800-835-6747. We’ve got Katie who is listening in Washington. Katie welcome to the program. Katie: Oh hi, nice to be on the program. Pastor Jëan Ross: We are delighted to have you. Katie: Thank you for picking my call. Pardon me. Pastor Jëan Ross: We are delighted you are here and your question? Katie: What is God’s view on homosexuality? I mean is there any forgiveness at all for that? Pastor Doug: Well the two things you are thinking about when a person is dealing with homosexual temptation or tendencies, one is the temptation. When somebody is attracted in that way, a lot of people have all kinds of temptations and one person’s temptation may not be another’s. Then there’s something is when a person gives in or succumbs to a temptation for what the Bible calls a sin. A sexual activity between men it’s, Biblically it is a slum dunk there is no question that God identifies that as inappropriate. He uses in fact the strongest language that you find in the Bible, it’s called an abomination. That doesn’t mean the Lord doesn’t love these people, He loves all people but it’s a sin. And you can find that in Leviticus, you can find that in Romans, you can find that in first Corinthians, there’s a number of scriptures that identify that as a sin. There are people who are single that have normal heterosexual attractions. But if they’re not married, God says that they should remain pure and chaste. So there are some people, Lord help them, they are attracted to children, I don’t understand it but we know they’re out there. But suppose a person is a Christian and for whatever reason I mean they probably have all kinds of psychological analysis that they could try and explain some of these things. But for whatever reason, they have that attraction. Through the grace of God, I believe a person can resist and overcome all kinds of inappropriate temptations. And so just because we’re living in a culture that has sort to normalize this homosexual attraction doesn’t mean it’s right, if the Bible says it’s wrong. Pastor Jëan Ross: And can God forgive that? Pastor Doug: Yeah, He can. Pastor Jëan Ross: Yes He can, right? Pastor Doug: A person, any sin that a person repents of, what’s that verse where in 1 Corinthians where it says, “And such were some of you but you have been cleansed and sanctified,” and Paul specifically talks about people who were tempted with and practicing all kinds of things including homosexuality that repented. Katie: Now it’s in 1 Corinthians? Pastor Jëan Ross: 1 Corinthians 6:11 actually you can read verse 10 and 11. Pastor Doug: You want to read it real quick? Katie: Yes at least it gives me something to tell this young man. Katie: You know because he’s lost forever. Pastor Doug: Oh no, you know there’s the, I know some of these people struggle and He can, God can change hearts, He can change desires. Where the things you once loved you hate, and the things you once hated you love. And just encourage them that when you’re born again, you can become a whole new creature. And God can change, and He can save from those things. So that I hope that helps you know I almost hesitate this, but people who are wondering just the push that we see in our culture to normalize gay tendencies and the homosexual lifestyle Amazing Facts does have a book. And it’s called, ‘Return to Sodom.’ One of the signs Jesus gives of the last days, He said, “As it was in the days of Lot and as it was in the days of Noah.” Well we know in particular in the days of Lot, there was just rampant, prominent homosexuality that was out there in the fore front clamoring for legitimacy and you’ll see that in the world today. You’re listening friends to Bible Answers live. 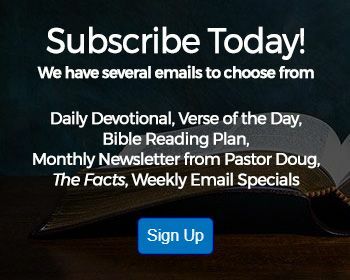 Pastor Jëan Ross: If you’d like to receive the book that pastor Doug just mentioned, ‘Return to Sodom,’ call our resource line that’s 800-835-6747. The number again is 800-835-6747, we’ll be happy to send that out to you. Pastor Doug: You know Pastor Ross just before we take a break here, I want to remind all of our friends who are listening, they can also be our friends who are watching. And not only are we on television, we’re on the internet right now streaming, and if you want to tune in and see what the station and program looks like just go to live.amazingfacts.org, just type in live.amazingfacts.org, we’re still doing kind of some test broadcasting, and we’d love to hear what your opinion is on that. You can hear the music, we’re not leaving, we’re just taking a break we’ll be back. 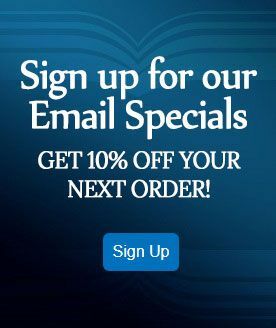 Bible Answers Live return in just a moment, if you’re looking for Bible-based materials for further study, sign up for Amazing Facts as free correspondence Bible Study course or check out our sale catalog featuring hundreds of inspiring books and tapes. To order, call our resource line at 800-835-6747, that’s 800-835-6747. Amazing Facts is a faith-based listener-supported ministry operating exclusively through the generosity of your prayers and financial gifts. We would love to hear from you, write to us at P.O Box 909, Roseville, California 95678 or online at amazingfacts.org. You’re listening to Bible Answers Live with Pastor Doug Batchelor. If you have a Bible-related question, call us now to receive clear directly from scripture. We have a few lines open, so please give us a call. The phone number to the studio is 800-GOD-SAYS, that’s 800-463-7297. If you have enjoyed Bible Answers Live, you’ll love Pastor Doug’s book of Bible answers straight from the broadcast, the very best questions and answers have been compiled as an awesome resource for Bible Study and personal evangelism. Each answer has been expanded with more Bible verses and insightful commentary. The book of Bible Answers can be yours today for just $12, Call now 1-800-835-6747 and request offer 257. That’s 1-800-835-6747. Pastor Doug: You are back friends, listening to Bible Answers Live, f you’ve joined us somewhere along the way this is a live international interactive Bible Study. You can join us by calling in with your Bible question, and it’s a toll-free number that’s 800-463-7297, we are streaming also the radio program live on the internet right now and that’s live.amazingfacts.org. We always have mixed feelings about telling people that because if you watch our TV program, you always see Pastor Ross and I are wearing suits, I guess we went for that youth program we did. But here on the studio we’re a little more relaxed and I want to tell you briefly about another TV program coming up in a couple of weeks. We’re going to be doing something very unique with our partners at 3ABN. It’s part of the 3ABN Anchors of Truth Series, we’re broadcasting live from the Sacramental Central Church where I pastor and it’s called, ‘Doctrines that Divide.’ And we’re to do for five presentations. Going to be talking very directly about some of the doctrines that seem to be dividing Christianity and what are the reasons for that? And how do we find unity and yet be doctrinally faithful? And that will begin October 19th through the 22nd and it’ll begin at the 7pm Pacific Time on 3ABN, we hope that you tune in to ‘Doctrines that Divide.’ Beginning on Wednesday night October 19th and be praying as we prepare for that live program. Are we ready for more Bible questions? Pastor Jëan Ross: Yes, we’ll go back to phone lines we have Yao who is listening in Rhode Island, Yao welcome to the program. Yao: Hi, Pastor I have a quick question. My question is, I know the New Testament Jesus Himself read the Old Testament and I wonder how the New Testament was put together to have the Bible we have now. Like I know some books didn’t make it others made it. So I want to know when is that like that day because I know that 1546, the Catholic Church met together and put some books together. So I want to know is it at that time or before or after? Pastor Doug: Now the reason he says other scripture, he’s comparing the writings of Paul to scripture. So here Peter the apostle is still alive and he is acknowledging that the writings of Paul are scripture. Did you catch that? Pastor Doug: So people who say that the New Testament was assembled you know 500 years ago, that’s not true. There were movements within the Catholic Church to recognize certain additional books. But the Canon of scripture, New Testament scripture that the protestants recognize, those books being recognized as authoritative and authentic go back to you know the early part of the 2nd century 150 AD and they were all intact at that point. Pastor Jëan Ross: You know there’s also an easy explanation as to why the books of the New Testament are there. The books that were written by eye witness accounts of Jesus, people who knew Jesus. Pastor Jëan Ross: Their writings were included in the New Testament. So there were other writings, but if the person was not an eye witness of Christ, his writings were not included. The only exception would be Paul, but some say you know Jesus met Paul on the road to Damascus and so on but, the rest of the New Testament, these were eye witness accounts of Christ. Pastor Doug: Yeah and all of these people, Jesus laid hands on them or they were, they received a dramatic baptism of the Holy Spirit and they were all, they were present for that outpouring of the Spirit and that’s why it says, “ Holy men spoke as they were moved by the Holy Ghost.” And all the writers in the New Testament fit in that category. One more little interesting bit of Trivia Yao, I was amazed when I heard this. The writings of Paul I used to think there were some deep scientific method about how they were organized. They were actually organized based on their length. It just starts with Romans as the longest and it goes and works its way down to Titus you know the shorter books at the end. Pastor Jëan Ross: We’ve got a book dealing with the subject of the Bible entitled, ‘The Ultimate Resource,’ and we’ll be happy to send that to you or anyone who is listening would like learn more about the Bible. Call our resource line that’s 800-835-6747. You can ask for the book, ‘The Ultimate Resource,’ we’ll send that out. Pastor Doug: And one more study and you can see this online or you can ask for it, is if you’re knowing about our question in the trustworthiness of the Bible, our first study guide in the Amazing Facts study series is called, ‘Is There Anything Left I Can Trust?’ And it gives a lot of good evidence about how you can know you can trust the Bible. Now friends you can go to our website or you can do this entire Bible Study series right now. You don’t have to wait for us to mail it to you, you can do it right now. Just go to Bible Universe, I know we’re giving out a lot of websites it’s because Amazing Facts operates a broad ministry. 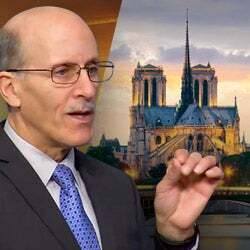 BibleUniverse.com, you can enroll in the Bible Study course right there online and the first lesson is about the trustworthiness of the Bible. Pastor Jëan Ross: We’ve have … we got Ron listening from Sacramento. Ron welcome to the program. Ron: Hi, how are you doing? Ron: Good, well I would like to say as a minister who has fallen I am convinced by watching channel 20 that the Sabbath is the right day. My question is why is God using the voice of the archangel? 1Thessalonians 4:16, He says, “God will descend from heaven with a shout, with the voice of the archangel.” How come God isn’t using His own voice? And I’m also . Pastor Doug: All right, well do you got your seatbelt on? Many scholars believe that Michael was one of the pre-incarnate names for Jesus. It does not mean Jesus is an angel, He’s not, He’s the Son of God. He’s eternal, He was not created. But one of the titles, ‘Prayer to Christ Coming in The World,’ they were as Michael and the word Michael means ‘who is as God’ that’s what Michael means, ‘who is as God.’ And so when it says the Lord will descend from heaven with a trump and the voice of the arch angel, it is the Lord that has that voice, that’s the voice He uses to really deliver God’s people from the grave. This mighty general appeared to Joshua when Joshua was leading people into the Promised Land. And he said I have come as a commander of God’s army and he said, “Take the shoes off your feet, for the place where you stand is holy ground.’ Well, the only time you take your shoes off, is the presence of God, that’s what Moses did. We have a book that we’ll be send if you’d like to ask for that Ron. Ron: I sure will because . Pastor Doug: It’s right down the alley. Ron: I’ve heard that so much. Pastor Doug: It’s right down the alley, it’ll explain it there’s, some people think that you know Jesus is an angel, that’s incorrect. And other people that Michael is a cherub and that’s incorrect. But this book will give the Biblical balance from a clear but yet a scholarly perspective about why the voice of the archangel. Pastor Doug: I would not do that just because there’s no Bible president for it. Pastor Doug: And the name that we’re given to cite is the name of Jesus I guess if you wanted to say it in the original ‘be Yeshua.’ And Michael was the name used for his pre-incarnate appearances. Pastor Jëan Ross: And the name Michael is also associated with prophecy, you’ll find it in the book of Daniel, you’ll also find it in the book of Revelation as well as Jude. Now let me give you just a few quick verses and you kind of look them up and it’ll help clarify who Michael is, Revelation 12:7, Jude 1:9, Daniel 12:1. So if you’d look those verses up they talk about Michael. And then just follow the sequence Michael is called the arch angel, and Jesus has the voice of the arch angel. Again, when we say arch angel, we’re not saying that Jesus is an angel, but He is the ruler of the angels. He’s the commander of the angels. He’s the one above the angels. Pastor Doug: He’s the greatest messenger. Yeah one more thought, when you go to Revelation and you have the dragon leading his angels in battle, the dragon is obviously a symbolic name for the devil. And it says the dragon fights with Michael. Well, if the name dragon is a symbolic term, then we shouldn’t be shocked as the name Michael is symbolic term for the leader of good. And well that would be Christ. By the way Ron, you can actually read this study guide if you want to call we’ll send it to you. It’s also at the Amazing Facts website, you can download it for free. A matter of fact we’ll take 50% off free and make it really free. And just go to amazingfacts.org where it says free library or free stuff, click there and it’s called, ‘Who is Michael the Arch Angel?’, you can download a pdf or read it right online. Pastor Jëan Ross: Or you can call the resource that’s 800-835-6747 ask for the book, ‘Who is Michael the Arch Angel?’ We’ve got Mike who is calling from Castlegard, Mike welcome to the program. Mike: Thank you. I was recently reborn. Mike: I have a question for you, it’s been driving me crazy since I’ve been reborn even before. I have people that come to the door, representing certain other faiths. And they say how can you believe, possibly believe that Jesus Christ was born on the, certain date December 25th in the middle of winter in a cave. And I tell them, “Look, I don’t see it in the Bible anywhere it’s just it’s my faith. I believe in that to be truth to my heart.” Now I look in the Bible and I still see no reference to when He was born. Can you help me out there? Pastor Doug: Well, I’ll try Mike. First of all this shouldn’t affect your faith at all. Nobody knows the date when Jesus was born. Mike: I’d like to celebrate His birthday though. Pastor Doug: That’s fine then there’s nothing wrong with your using the popular date that’s accepted. As long as you know that it may not be the actual date. The date that, whoever was knocking on your door, I’m sure they’re not right about everything, but probably one thing that is true is that it’s not likely that Jesus was born the 25th of December. We are pretty sure that date was chosen because it was the beginning of the new year. See the calendar in the seasons were always governed by the sun and when the sun reached the lowest point and the days got the shortest, it would reach this lowest ebb in the horizon. And then the days got noticeably longer on the 25th of December. The 21st of December was the shortest day, there’s no change for a day or two then the days start getting longer again the 25th. So in many parts of the northern hemisphere, they had a celebration around the 25th of December because it was like a rebirth of the sun, the days begin to get longer. And so when the early church didn’t know what the date of Christ’s birth was, they thought, hey what a great way to reach the pagans we’ll say it was the 25th of December. The date of Christ’s birth is not recorded in the Bible it was most likely sometime in August or September but we don’t know when so December 25th is probably as good as any day. You know what I’m saying? Mike: When you say, yeah when you say, excuse me but when you say that we will just say that it was, He was born on December the 25th okay? Mike: Now who is this that we’re talking that are saying this? The people who, who is responsible? Pastor Doug: Well, if you go back in history to, oh I don’t know when they first began to celebrate Christmas. You know I’m thinking that it was probably about 600AD when they began to pick that as the date of Christ’s birth, and that’s even where you get the word Christ-mass. It was a special high mass that they would have celebrating the birth the Christ. They just wanted to pick a time of year. They weren’t sure when that date was and so they picked the date that everyone in the Roman Empire was already familiar with. But I would not let that shake your faith. Mike: Oh no, I know that you know Christ isn’t just born, He was always just like God okay? Mike: He’s the son of God. However, there is a physical time of His birth to Mary. Pastor Doug: Yes there was, and now let me tell you, let me give you some reasons. I don’t know what you’ve heard already but very quickly, it is true that the shepherds were out in the fields watching their flocks, that means they were still grazing. That probably wasn’t going to happen in the coldest time of the year. Secondly, Caeser had called for census for everybody to gather in their hometowns and be counted, most kings would not ask people would not ask people to travel those distances when the climate was the worst and there’s no food in the fields. Thirdly, it tells us how long Jesus ministered. Jesus began His ministry at His baptism, and this is in Luke 3. It says, “As He began to be 30 years of age, He started His ministry.” We know that He ministered three and a half years. We know when He died, He died during Passover which is in the spring. If you count back three and a half from Passover, you’re going to land sometime in September. We don’t know the exact date because that’s all governed. So you know there’s those reasons and probably a few more that it was probably in the fall sometime but I wouldn’t try to get everybody to pick a new date in the fall, I just enjoy it in December. It doesn’t matter. Mike: It just bothers me, you know just really bothers me. Pastor Doug: In the United States of course within November we do a Thanksgiving. Well, there’s no command that you’ve got to do that third Thursday in November but hey, it’s a great holiday. Christians can get behind that. Mike: So it’s not of anything to do with faith, so it’s, I’m thankful for being where I am, who I am and what I’ve been able to receive. Mike: and giving of others you know. Pastor Jëan Ross: Some of the history. Pastor Jëan Ross: Some of the background on this. Pastor Doug: Behind some of these deeds yeah. Pastor Jëan Ross: The number to call is 800-835-6747 and Mike you can ask for the book, ‘Baptized Paganism’ and we’ll be happy to send that out to you. You can also go the website amazingfacts.org and you’ll be able to read that book at the free library. We’ve got Dean listening from Davenport, Iowa. Dean welcome to the program. Dean: How are you doing brothers? Pastor Jëan Ross: Doing well, what’s your question tonight? Dean: Well, recently I heard a pastor preaching on the Three Angles channel and he was talking about the Sabbath and the mark of the beast spoken of in the last part of Revelation. And I think he was referring to the, actually the, where the anti-christ would tussle human beings to take a mark. Pastor Doug: You’re talking about Revelation 13? Dean: Yeah and in the early 90s, mid 90s they made a chip, a tracking chip that they use actually and they’ve modified since then and they put into, they could put it into your arm or whatever I mean they use them, mainly they’re trying it old timers patients and you know dogs and cats and stuff like that you know for people to know where they are at and stuff but . Pastor Doug: Hey Dean we’ve got to turn this into question. Pastor Doug: If you’re going to formulate this into a question, how would you say it? Dean: Well I’m just wondering how the preacher that was preaching about the Sabbath and the mark how he come up with the mark of the beast being just those who have committed to worship on Sunday. Pastor Doug: And it does mean a scratching or an etching or a stamp or something that is a badge, a sign. So I’m not disputing that that means a sign. The reason that many Christians believe that the issue of the Sabbath is going to be connected with the mark is because when Daniel was, if you read in Daniel 6. Then there was a law made by the government that unless Daniel prayed to the king, and worshiped he was going to be killed, death decree. Pastor Doug: Then you go to Daniel chapter 3 and they make it a law and the makes a law that they’ve got to pray to the image of Babylon or be killed. Pastor Doug: That requires breaking one of God’s commandments, both of those have to do with worship. So there is a logical progression that in the last days when it says unless they worship the image of the beast, that they should be killed. But again there’s going to be a universal law regarding worship that is going to be impressed on people. Pastor Doug: Firstly, the mark of the beast, well you know what? I need to clarify something. First, the seal of God is the spirit of God, but there’s something beyond that, it means those who worship God. In the law of God you find the word ‘holy’ one time. God is calling us to be holy. It’s in the Sabbath commandment. There has been an effort around the world to basically eliminate the Sabbath. Some are even eliminating the ten commandment in an effort to get rid of the Sabbath. But the Sabbath tells what God we worship. Right in the Sabbath commandments it says, who the name of the Lord is, for in six days the Lord that He is the creator. What’s His territory? The heaven and the earth. It just summarizes the awesomeness of God and that we worship Him and we give Him our time. What’s life made of? Life’s made of time. What’s love made of? Love is made up of relationships in time. The devil hates the Sabbath. We are in a society that is so busy right now. And so there is an effort in the last days to abolish the worship of God and the Sabbath is part and parcel of that. Well it’s hard for me, I don’t know exactly who you heard or what sermon you heard, but it’s going to be hard for me to summarize all that in a brief. We do have a lesson on this. Pastor Jëan Ross: We do have a lesson on this entitled, ‘The Mark of The Beast’ and Dean we’d be happy to send that to you if you just call our resource line it’s 800-835-6747. You know Pastor Doug just one additional thought the word there in the Greek for the mark is ‘caractea’ and we get the English word character from the Greek word ‘caractea’. Pastor Jëan Ross: That’s right, it’s kind of the writing on something. It’s a reflection of something so the big issue at the end of time is dealing with worship. Who are you going to worship, worship God or you’re going to worship this beast power. That will be manifest in who we obey. Pastor Doug: You know I also want to refer Dean or anyone who wants more information on this, one of the other very popular Amazing Facts websites is called, ‘Bible Prophecy Truth.’ Bible Prophecy Truth, we have free study guides there that deal with the subject of the mark of the beast and you just go there and you can engage in those Bible studies, you can flip through them and jump right ahead. And I’m trying to remember the title of the historical lesson because you can flip and go right to it at Bible Prophecy Truth. There is one of the study guides that goes to that. Oh by the way there’s a section right there on Bible Prophecy Truth where it talks about the mark of the beast. I think you click on it right on the homepage. Dean we hope you do that. There’s a lot more information there and this is something worthy of study friends and I didn’t want to take another question because I knew the music was going to catch up with us here. But don’t change channels just yet let me say this, we’ve reserved these last few seconds to remind you we’re only on the air because books like you are inspired to keep us going. We’d love to hear from you. Can you go to Amazing Facts tell us that you’re listening and make a donation online. God bless we’ll get together and study next week.